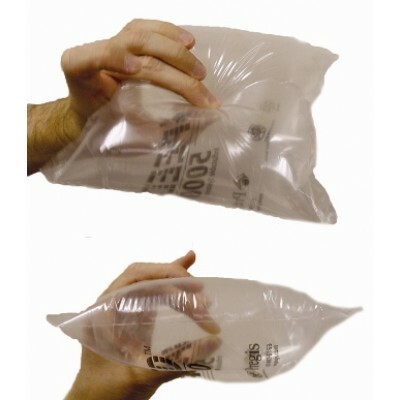 Air pillows are available pre-inflated in 15 cubic ft bags, or as film with a machine for larger users. We distribute the 'opus bio' brand of air pillows, which are 100% biodegradable forming an environmentally friendly solution. Air Pillows are available in many different sizes, as per the specs below. Please click 'back' on your browser to view the range of air cushioning machine/film solutions available for larger users.